Home Knowledge Centre Blog Employee Conduct Complaints Peninsula Face2Face – employee grievances: Getting them wrong can be costly! 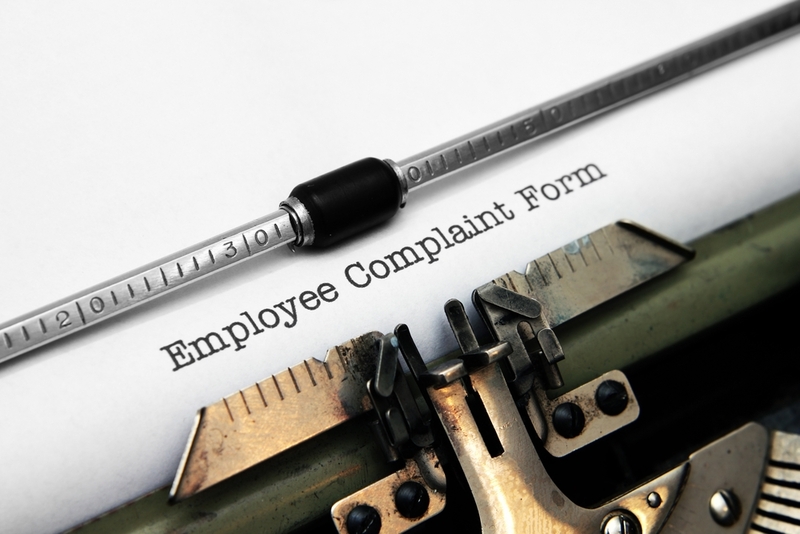 A grievance within the workplace is any complaint, problem, or concern raised by an employee. They can either have the express label of “grievance”, set out in a letter / email or could be verbal comments, which should be taken just as seriously. Workplace grievances can range from a small gripe about a colleague, up to extremely serious concerns involving harassment, discrimination or health and safety breaches. Initially, an employer should try to resolve a grievance with informal discussions or Mediation (the benefits of which are laid out in last month’s edition of the Bottom Line]. However, if such an approach is not possible (or appropriate due to the severity of the issues raised), a business should implement a Formal Grievance Procedure for a full investigation to be conducted. The ACAS Code of Practice on Disciplinary and Grievance Procedures recommends that every business should have a formal grievance procedure in place, and sets out the minimum standards that a Tribunal expects a company to follow. Your company’s grievance procedure should be laid out in your employee handbook – Peninsula can help draft/update your policies to make sure they are fully legally complaint. Once a formal grievance procedure has been instigated, the next step is to hold a formal meeting with the employee to discuss their concerns in more detail. These meetings involve various statutory rights for an employee, for example, their right to be accompanied by a member of a Trade Union or work colleague. As an employer, it is your legal responsibility to ensure that such grievances are dealt with professionally, seriously, promptly and in confidence. Getting it wrong can result in a potential Employment Tribunal claim on potentially quite serious grounds, for example, an employee might claim that failing to deal with the grievance is a breach of contract that might lead to a Constructive Dismissal claim because the employee loses trust and confidence with their employer. Whether ultimately successful or not, this can have a hugely negative impact upon any business in terms of time, cost and stress – something which many businesses can ill afford. A common difficultly that employers face is when a grievance is raised against the business owner themselves. When this occurs, a business is left in a difficult position because the grievance still needs dealing with, however it is not appropriate for that person to investigate allegations relating to his/her own conduct. In such circumstances, Peninsula Face2Face can be invaluable. Peninsula Face2Face can provide a highly qualified and experienced Consultant to visit your premises and conduct the meetings (and any subsequent investigations) impartially. This avoids the possibility of an employee alleging bias if a grievance is heard by someone less senior, a business acquaintance or family member, and it often reassures the employee that their complaints are being taken seriously, even if their complaint is not ultimately upheld. For further information on how our Peninsula Face2Face Team can help your business, whether this be with a grievance procedure, or any other form of employee meeting, please call a member of the dedicated Peninsula Face2Face team on 0844 892 3911.